SHANTA ATKINS RELEASES MUSIC VIDEO FOR GOD SEES YOU! The youngest of nine children and, no stranger to the world of the music and younger sister to the Grammy Award winning Gospel duo “Mary Mary”. Shanta Atkins has performed on the Soul Train Awards, BET Awards, Jay Leno Show, Arsenio Hall Show and for Oprah Winfrey. She can be heard on recorded projects with Kanye West, Mary Mary, Jason Champion, Al Green and Dorinda Clark-Cole. She has sung for some of the greatest like Natalie Cole, U2, Yolanda Adams and BeBe Winans. 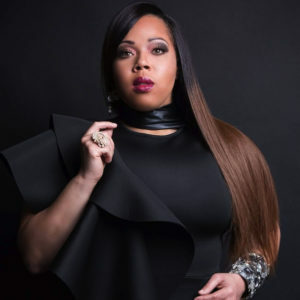 Mary Mary’s Younger Sister Shanta Atkins Lands on Billboard!